Painters Bacchus Marsh – the best painters experts in all types of domestic, commercial, Decorating, exterior and interior painting. At Back 2 New Painters Bacchus Marsh, we have a passionate team of experts who will ensure that your home or property gets the best look after being painted. We have been in the industry for more than a decade now and we know what is best for all our clients in Bacchus Marsh. Our company is solidly built on integrity; trust reliability and unrivalled professionalism that makes us serve all our clients with the expertise that keeps on winning more work at Back 2 New Painting on a daily basis in Bacchus Marsh and its environs. We provide our services to all kinds of clients including architects, project managers, homeowners, and builders alike. We handle all range of works that includes big and small jobs, which are expertly handled by our exceptional team of experts. We will be ore obliged to give you some of our client references that are in our database upon request. 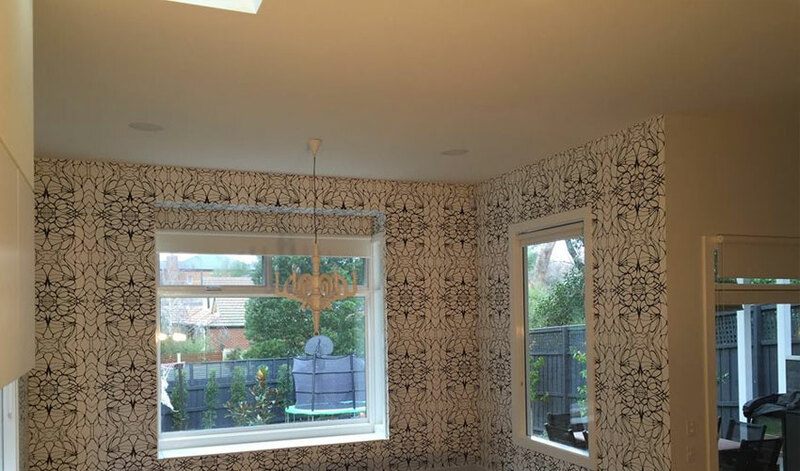 Whenever you need the services of domestic painters that you can trust in Bacchus Marsh and its suburbs, then you need to choose Back 2 New Painting. We are the most reliable company in Bacchus Marsh that fully understands the need of doing quality painting on your domestic property; we aim at producing the best finishes that have a lasting impression on your house. Our competent team of domestic painters is professionally hired basing on their unequaled qualifications and exceptional wealth of experience that will make it possible for them to deliver outstanding results. At Back 2 New Painting, all our domestic painters have the right qualifications and are fully accredited, our presence in the industry spans for many uninterrupted years of providing exceptional services to all and sundry. Our team commands a combined experience in painting that adds to 100 years, which means that you will be able to enjoy a peace of mind while you are rest assured that all the painting in the home is being handled by the best experts. All our experienced painters will tackle all the domestic painting work with professionalism aimed at ensuring that you get the finest quality finish, which you need at all times. Our domestic painters are trained to have the strongest focus on matters relating to safety and are fully covered when it comes to public liability as well as work cover. Our team of experts posses white cards besides being trained in all the procedures relating to site-specific safety regulations. Furthermore, all painters at Back 2 New Painting are fully licensed and have the experience that is needed in using all kinds of work platforms, which include scaffolding and all other harnessed work; we have the reputation of working on a wide range of jobs especially in situations where access proves to be a bit tricky. When it comes to handling commercial painting, we are widely renowned for the depth of our extensive knowledge within the commercial market in Bacchus Marsh, which has seen all our clients sing praises of our quality workmanship that cannot be disputed. In the last decade alone, we have successfully completed numerous commercial projects spread among different fields that include retirement homes, hotels, schools, and hospitals. The quality of our work has seen us gain so many referrals from the bulk of our commercial customers who bring over their colleagues, friends and relatives as they continue to appreciate our unwavering commitment aimed at meeting very stringent deadlines. When our highly dedicated commercial painters come over to your site, they will keep you informed about every step that they will be taking in the execution of your project. In case you need any permits and other approvals, then you should not be worried because we will take care of all those processes. Our team of painters will be at hand to assist you with color selections and at the same time provide you with pieces of advice, which is derived from their broader knowledge on current trends as well as latest colours in the painting industry. At Back 2 New Painting we utilize the finest paints meant at ensuring that you end up with high quality finishes, which are achieved with Haymes, Dulux, Solver and Wattyl that are the type of paints that we generally make use of in most of our painting jobs. In the event that a customer has their preferred brand, we are ever happy to apply it on their property. Every homeowner needs to refresh the looks of their home, the most suitable thing that can be done to your house is to paint it with yet another coat. We have a team of professional painters who have the relevant experience in painting the interiors of both commercial and domestic property. We will automatically do the interior painting on all surfaces to make them have the best look that will leave them adorable. You should not shy away from trying any of our cool designs that are done with decorative finishes to make your interiors to complement the architectural design of your home. Our highly qualified professionals have the expertise of painting on extensive ranges of surfaces of all interiors that include all types of plasterboard and ceilings, any solid plasters, all types of plaster repairs, any ornate cornices, Timber repairs, Ceiling roses, Restoration works, Airless spraying on surfaces, Repainting on surfaces, Finer spraying or flawless spraying on finished doors, Laminates, Tiles, Painting of cabinets, Veneers and Floors.